CBHD (China Blue High-Definition), formerly known as CH-DVD is a high definition optical disc format thatis a joint venture between the DVD Forum and OMNERC. According to Wikipedia CBHD’s developers claim the format contains more copy protection features and is part of a big push by China to fight piracy as well as cut down on royalty payments for foreign patents. In March 2009, Warner Bros announced that they are supporting the CBHD format, launching with titles that included the Harry Potter series. 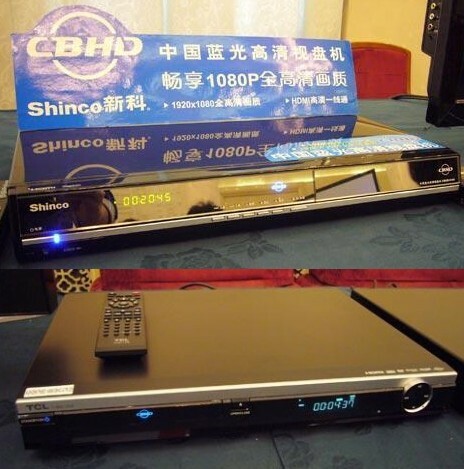 To add further fuel to the fire, Engadget is now reporting that China Blue HD players have been unveiled. Let even more format wars begin…..
Oh Great….. More Wi-Fi Wars over HDTV In The Home! According to a post at Fast Company, Amimon announced its new WHDI 2.0 chipset yesterday. The chipset enables compatible hardware to transmit 1080p video 100 feet around the home and according to the Research firm In-Stat the technology will be beaten by the standard 802.11 N Wi-Fi. According to the post WHDI is relatively expensive and is a “power hungry” technology to boot. How Network TV Will Reinvent Itself – Huh? I just completed reading the article on How Network TV Will Reinvent Itself and I could not help but think it is short on content. While I do believe that more local content is a key element, I think the story misses the importance of one of television’s big strengths which is its power as a live medium. More live and local should be one of the mantras that local television adopts. I don’t believe that “MediaFriends TV Chat, that was mentioned in the article that allows viewers to send text messages like —”OMG, can you believe what Miley is wearing?”— will necessarily help Network TV but it will add a bit to an interactive culture. I think Twitter already owns this space. I still believe the kinds of data giveaways that are possible under the Datacasting component of ATSC has the potential to be very powerful. Hopefully it will gain some popularity as Mobile ATSC rolls out. Over the air broadcasters have yet to build upon the power they have for data delivery with their digital terrestrial towers. Hopefully, like the Internet did, this technology will pan out for broadcasting. Again this technology was not mentioned in the article and its why I think it to be short on content. 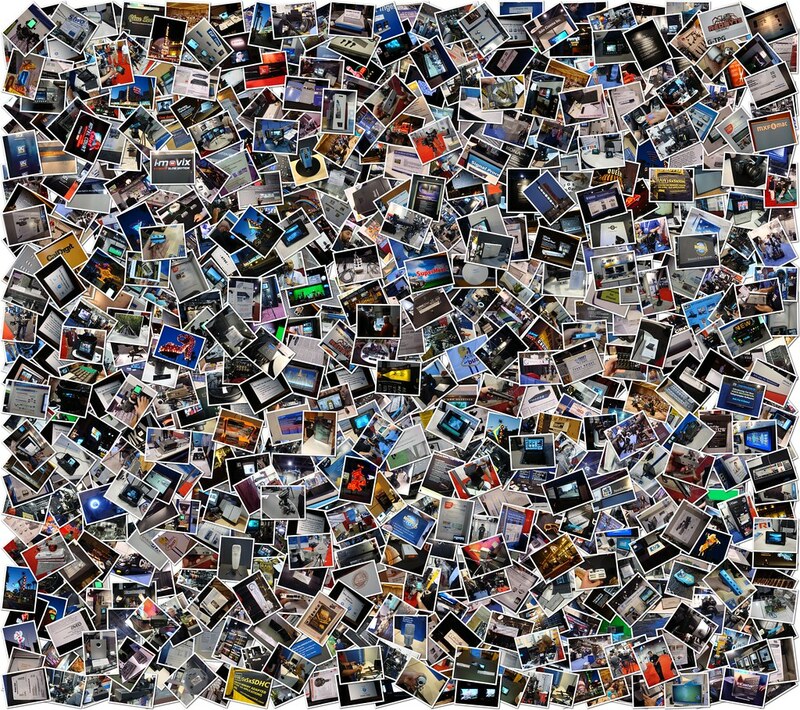 Just got back from NAB 2009 and I’m starting to sort out the information that I brought back. Above is a collage of the images I took that was created by Shape Collage which is a free automatic photo collage maker. You’ll see some posts on NAB 2009 soon. 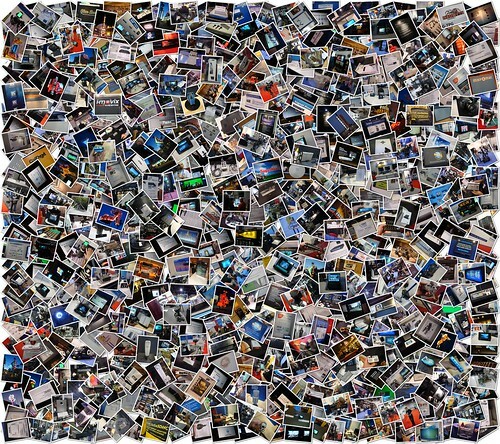 48 video streams are displayed on Toshiba's Cell TV. The streams are stored in a hard-disk drive unit. 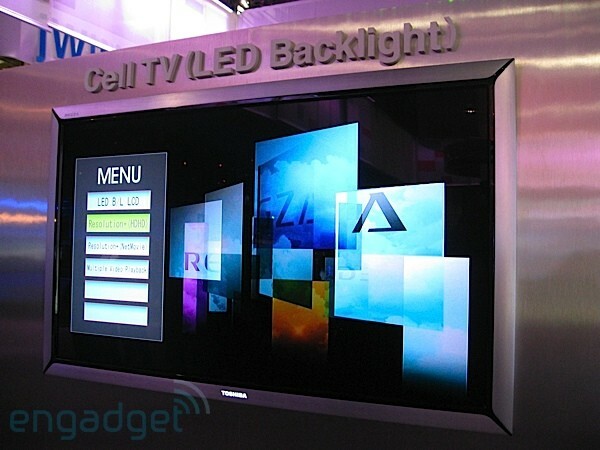 At recent trade shows Toshiba has been showing off its Cell TV. It’s a television that has a Cell processor in it. TV sets equipped with a Cell processor, as opposed to a non-programmable chip, will allow Toshiba to improve the image-quality via software upgrades as new and improved filtering algorithms are developed. No hardware upgrade required on these sets. Toshiba will benefit because having a fully programmable chip allows for a faster time-to-market as it avoids building a new custom chip to accommodate new filtering techniques. The chips inclusion means no need for an upscaling DVD player and the Cell processor can handle multiple video streams, which means users can preview up to six HD streams at once, before deciding which one they want to watch. Wow. 3D Imaging Getting Real! I came across these images today and have to agree with the blogger as I, like him, was awestruck. They are completely created via computer software and very talented artists. 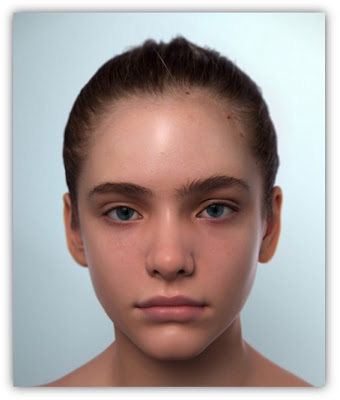 The image above was created using 3ds max and ZBrush, while the image below was created using Lightwave 3D, Photoshop and ZBrush. Keep in mind these are STILL images – not motion images – but it still shows the beginning of what is possible with modern CG technology. My guess is the first people to be replaced by this technology -once it’s real time- will be TV anchors and newscasters. I just came across Super LoiLoScope MARS , which is a consumer video editor that the was designed to be easy to use. The company that makes this software claims that it that makes editing high definition (HD) movies accessible for the average consumer. The software takes advantage of the parallel processing capability of NVIDIA’s GeForce CUDA-enabled GPUs. If you can believe NVIDIA, they claim Super LoiLoScope MARS can create movie files up to 10 times faster than CPU powered encoders. This dramatically lowers the cost of a PC powerful enough to edit high definition content. Support for 9 languages, including: Japanese, English, French, Spanish, German, Portuguese, Korean, Traditional Chinese, and simple Chinese. The NAB release credits the software’s unique interface to the Sugiyama brothers, Koji, a brilliant graphic software developer, and Ryutaro, a computer graphic artist, who have years of gaming industry experience at Sega. However the release also mention “two ex-top Japanese game creators” as potential developers as well.